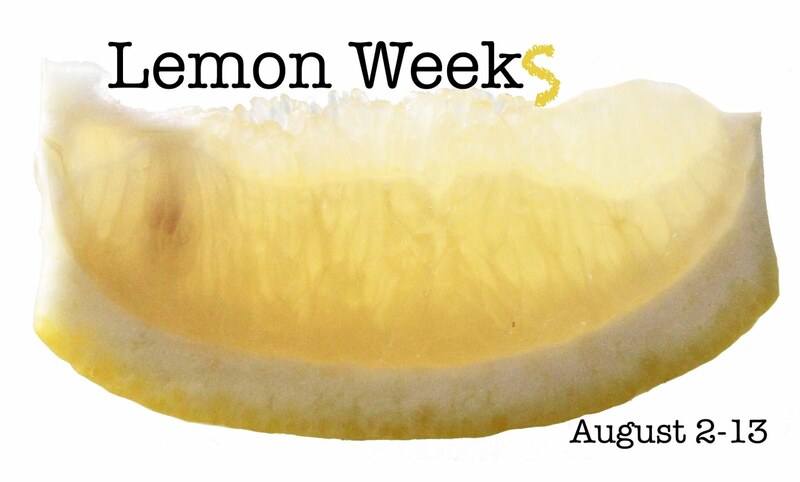 Here is the first craft of lemon week. We just had a stamped concrete patio put in our back yard. I was a pretty exciting project. I designed it, drew up all the plans and made sure it was done exactly to plan. 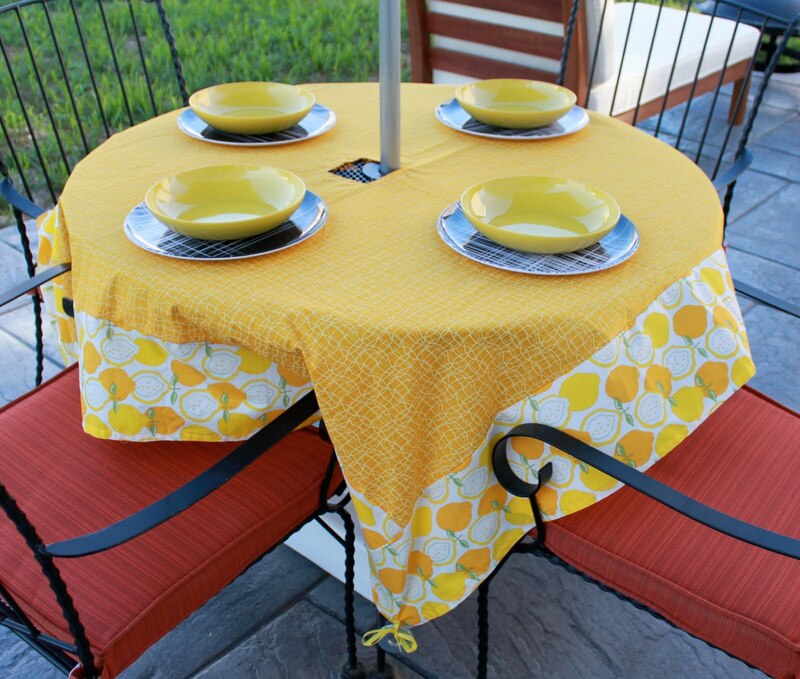 Now that we have a nice outdoor space I have been busy looking at furniture and plotting what I am going to make. 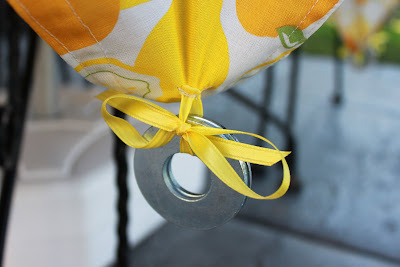 I saw this picnic blanket over at Make it Do and I loved the idea of the washers as weights. . Calli decorated hers and they looked beautiful, but I like the industrial look of the plain washers. It ended up being a coincidence that I used lemons too. 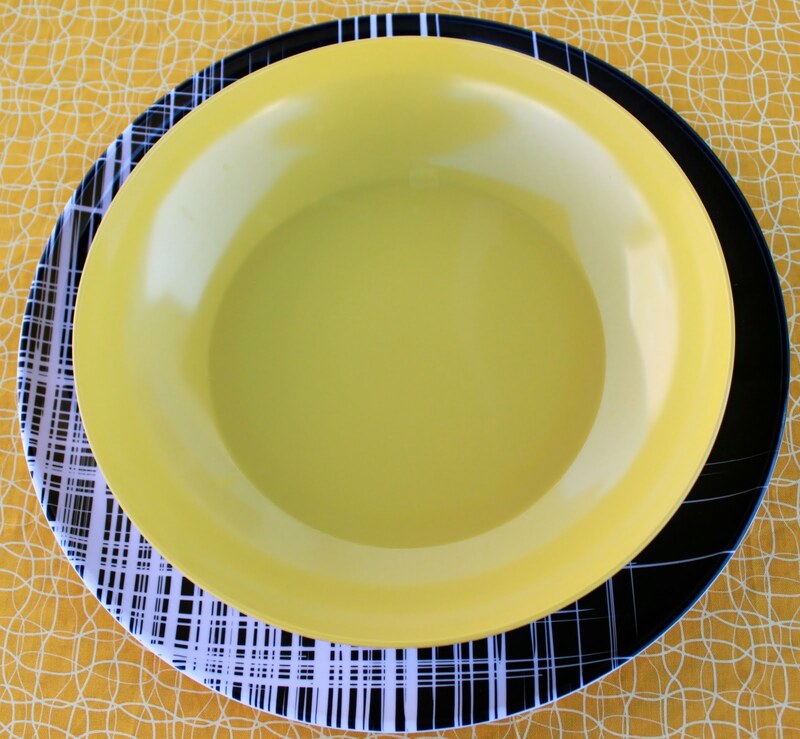 There was no yellow fabric I liked at Jo-Ann Fabrics that matched my bowl and we don't have another option near by. My fun new table setting is waiting for some guests! The weights for the table cloth. They work great!!! Center fabric 42" X 42" I had 1 and 1/3 yards cut. 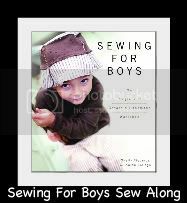 Border fabric is cut 7 inches wide. I had 1 and 2/3 yards cut with some left over. I also made a hole for my umbrella pole. 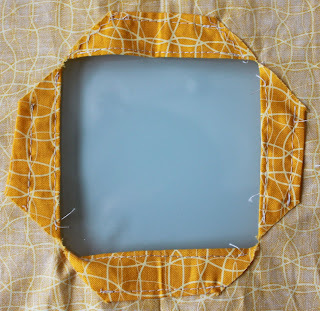 It is 4 inches square, i just folded the fabric into quarters to find the center and made one cut through all the fabric that was about 2 inches long. I folded the triangles in and sewed them in place.